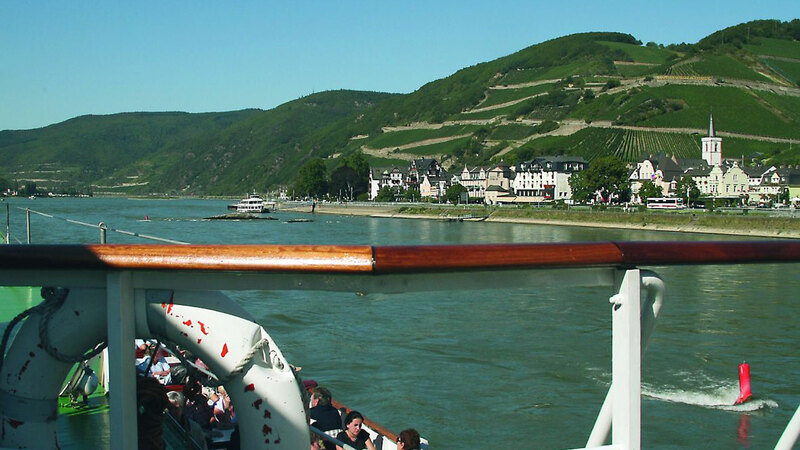 Enjoy an eventful day on a river cruise on the Rhine. Whether it may be an excursion to the Loreley, to Ruedesheim or to one of the countless castles among the riverside, by ship you won’t encounter any problems in reaching your favorite places. Relax on the sun deck of one of the many ships and let the picturesque landscape of the UNESCO World Heritage “Upper Middle Rhine valley” pass by. Ashore, you will explore the famous Loreley rock or discover one of the countless castles and ruins among the riverside of the Rhine. Timetables, tickets and further information are available at the Front Desk. Assmannshausen is the perfect departing place for a trip to visit nearby cities. In Bad Kreuznach, in the middle of the romantic Nahe valley, you can visit the most beautiful sauna and wellness bath in Germany. In the bathing house, in the heart of the spa quarter, an entire world of sauna and bathing types, spa and beauty treatments is presented under one roof, starting by the traditional Finnish saunas and the whole spectrum of Roman bathing culture up to oriental relaxing baths, massages and cosmetic. In the spacious outdoor area on the roof terrace the rural BADERHAUS-alm with stone baths, "brechel baths" and a water wheel shower are the center of attraction. The prestigious building, classified as a historic monument, which unites harmonically classicistic and baroque features in a unique environment with the most beautiful wellness bath in Germany, attracts an international clientele that loves to be spoilt in exclusive luxury in the over 4000 square meter site. The Rhine path reveals an impressive natural environment. 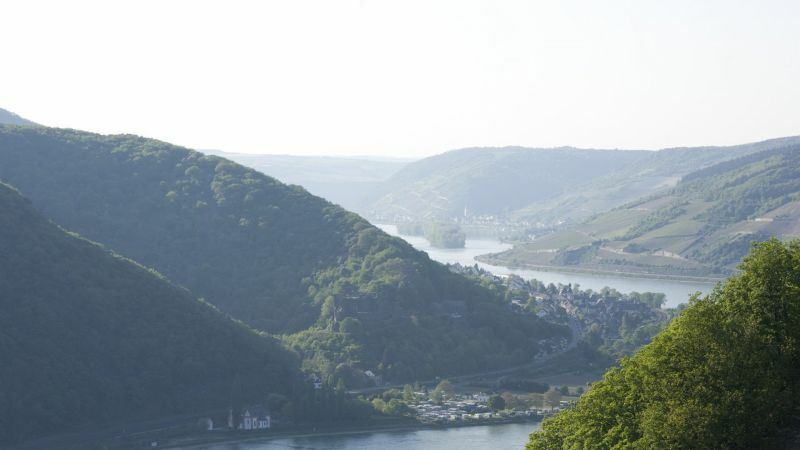 Narrow paths lead you on a soft forest ground through shadowy mountain valleys and silent forests of the Siebengebirge, passing rough cliffs in the Middle Rhine Valley and wandering through the infinite vine yards of the Rheingau. 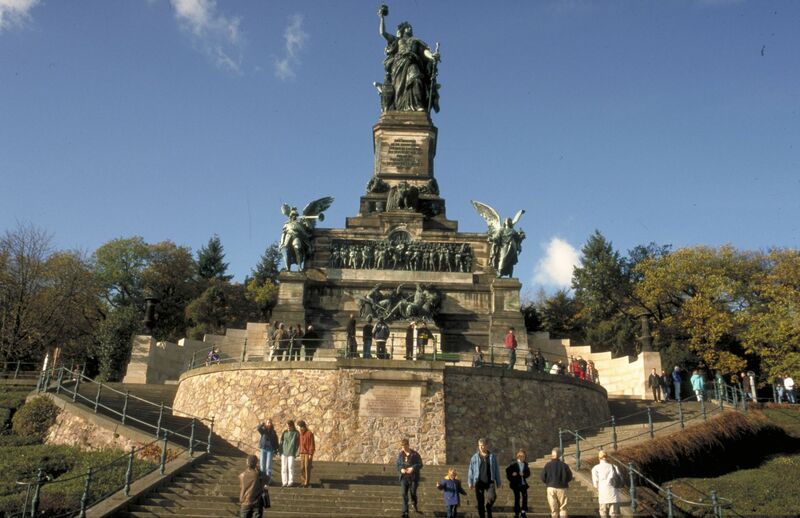 The mountain peaks give you the chance to enjoy the splendid view on the vivid Rhine valley and the majestic silence of the limiting mountainous landscape of Taunus and Westerwald. Mineral springs and hot thermal baths invite you to stay and rest a bit. 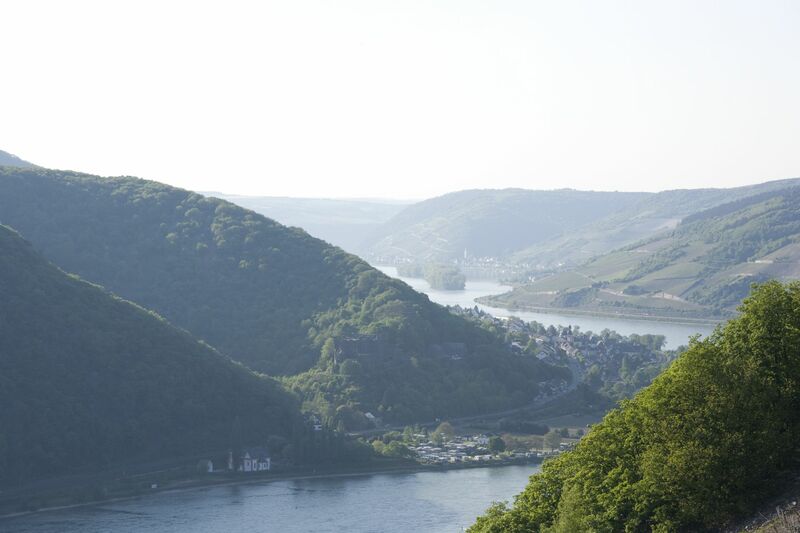 The Upper Middle Rhine valley offers lots of possibilities to cyclists. 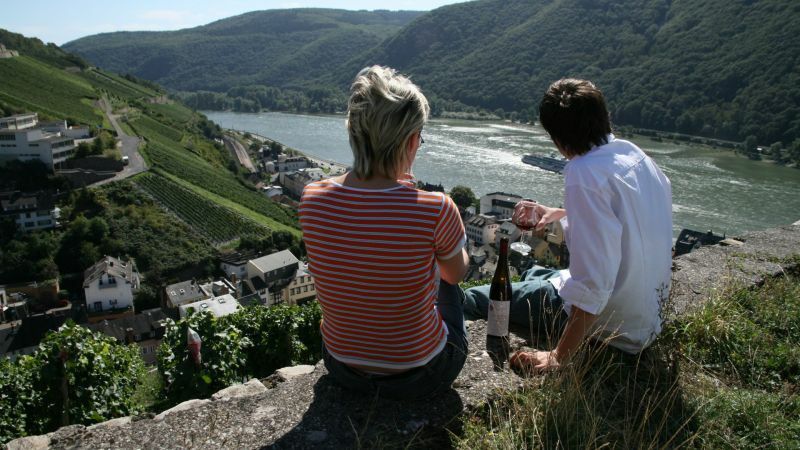 Either sporty along the hills of the vine yards or relaxed along the Rhine, there’s something for everyone’s taste. Of course you can combine biking trips with the cultural highlights of the region, e.g. a visit of the famous monastery Eberbach or a boat cruise. We are glad to offer you maps of the region. Practicing a sports for everyone will show you the beauty of the Rhine. About 35 kilometers surrounded by marvelous landscape with sustainable trails are available. The altogether 5 trails have detailed signs displaying information on height profile, difficulty level and length. The concept "Park and Walk", comparable to "Park and Ride", gives you an extra service. The trail was already approved by the German Ski Association(DSV) , and therefore there is a sufficient number of experienced Nordic Walking coaches at your disposal. Sticks, maps and supplies are available at the hotel. This little place is considered to be one of the most beautiful regions in Germany and has a great reputation throughout the world. Places to be visited are everywhere in the Rheingau, from the world-known monuments like the Germania in Rüdesheim, or the countless castles dating far back in history to traditional monasteries and wineries. Obviously there was a good reason for the Upper Middle Rhine Valley, with its picturesque landscape and its historical buildings to be declared UNESCO World Heritage Site not too long ago. There’s a lot to be seen and you should take your time to explore everything – or just come back some other time. But enough of the talking, just experience the beauty of the Rheingau with your own eyes. Wir laden Sie herzlich zu einem Erlebnisausflug in die Welt der Edelsteine ein!